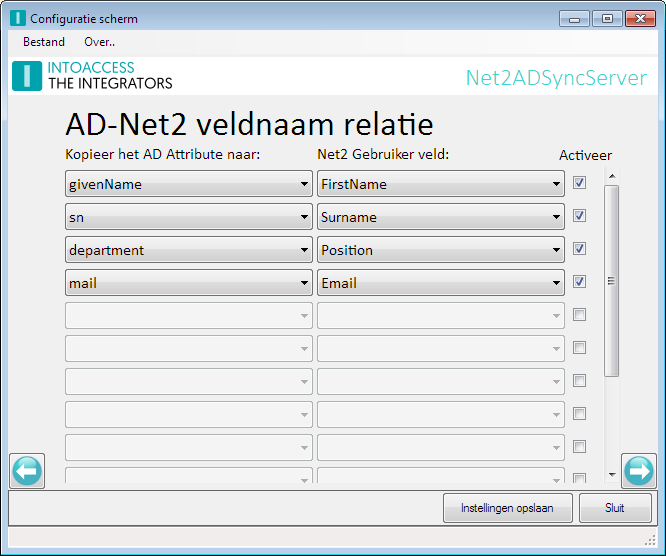 The Net2ADSyncServer application, synchronizes your Net2 system with Windows Active Directory. This makes it possible to, after the initial configuration, maintain the users at a single spot (Active Directory). The Net2ADSyncServer comes in three standard flavours and a customized version. Both the Professional and Ultimate version can cope with nested AD groups. Available in Basic, Professional, Ultimate and Custom edition. The manual of the latest application version, can be found here. A trial version of the Net2ADSyncServer application can be found here. The application is compatible with Paxton Net2 Lite and Pro version 5.03.2828 and up.